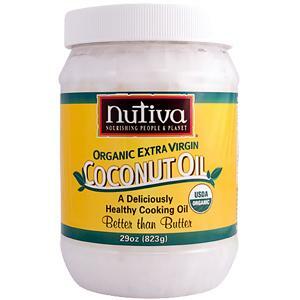 Saturated fat from coconut oil is HEALTHY! When thinking of the essential elements of a healthy diet, several come to the mind of the health seeker, including essential amino acids and protein, fiber, pure water, essential fatty acids, and unsaturated fats among others. But few people, including dietitians, would cite saturated fat as being an essential ingredient. Long vilified by the American Heart Association and other health agencies as a contributor to coronary heart disease and making it difficult for people to lose weight, saturated fats have been the arch-nemesis in numerous “saturated fat vs unsaturated fat” studies. Saturated fat foods such as bacon, cheese, butter, and even vegetable oils such as coconut oil and palm oil, are advised to be consumed in moderation. But what is the real truth? Is saturated fat bad for you? And exactly what is saturated fat? Before we begin, it’s important to note that coconut meat and coconut oil contain saturated fat, but coconut water does not. This is just an informational article because we firmly believe that every part of the coconut is healthy! Saturated fats are fats consisting of triglycerides containing only saturated fatty acids. Saturated simply means the carbon atoms they are composed of are “saturated” with hydrogen atoms. This hydrogen saturation endows these acids with great molecular stability and resilience against heat and oxidation. These are some of the qualities that “food chemists” strive for when they artificially hydrogenate unsaturated oils as they have a longer shelf life. However, it is this unnatural process that makes these oils unhealthy through it’s production of trans fatty acids – we now know that anything mentioning the word “hydrogenated” is NOT good for you and is a deadly trans fat. It is these trans fats that are the true culinary villain, and whose excessive consumption scientists now believe can lead to coronary heart disease via its raising of bad LDL cholesterol and lowering of HDL cholesterol. One of the foremost proponents of the war against saturated fat was Ancel Keys. His ‘Seven Countries Study’ proposed that serum cholesterol was directly related to heart disease, and further concluded that saturated fats should be replaced by unsaturated fats. He believed that the saturated fats found in meats and milk have negative effects compared to the good effects of the unsaturated fats found in most vegetable oils and nuts. In 1968, following publication of his works, the mortality rate from heart disease began to markedly decline. Half of this decline was ascribed to the dietary changes as suggested by Keys, Nathan Pritikin, and others. However, even meats have a much larger amount of unsaturated fats than Keys gave them credit for. Nathan Pritikin, an advocate of low fat and fat free diets, promoted the use of fresh raw foods and whole grains. Adherents of this dietary approach found they could successfully lose weight in addition to lowering their blood pressure and cholesterol levels. But these conclusions are the subject of heated debate as it is believed that there are other factors that could have contributed to these results, including lower circulating insulin levels. Elevated insulin levels and insulin resistance have just recently been revealed to be a culprits in heart disease, obesity, and premature aging. Among the foods high in saturated fat is coconut milk, which is believed to be a poor choice for those pursuing cardiovascular health as it is considerably high in both fat and sugar. Ironically, the benefits of both coconut milk, along with coconut meat, and coconut water are now being advertised in many worldwide health markets, and even being used in health shakes. Is there something special about the saturated fats in foods such as coconut that make them less harmful that those found in other foods? Actually, recent studies have found that saturated fat is an indispensable food element, providing the building blocks for cell membranes and a variety of hormones and neurotransmitters. These fats have been found to be not only a concentrated source of energy, but also important for mineral absorption and necessary carriers for fat-soluble vitamins such as vitamins A, D, E, and K. Even Nathan Pritikin discovered that people who remained on a low-fat/fat free diet for long periods of time eventually developed heath problems encompassing low energy, difficulty concentrating, depression, and mineral deficiencies. All of the evidence seems to point to the types of saturated fats consumed rather than the particular amounts as the deciding factor. The health giving benefits of natural saturated fatty acids found in grass-fed meat, unprocessed coconut oil, and clean dairy products have been confirmed, while the artificially hydrogenated fats, with their trans fat byproducts, found in many conventional foods, have been rooted out as the illness-producing elements. Again here, the natural seems to prevail over the artificial. Thus it can be concluded that indeed saturated fat is not unhealthy, but that saturated fat IS healthy.